Especially these days, rare is the ecclesiastical project completed on-time and on-budget. 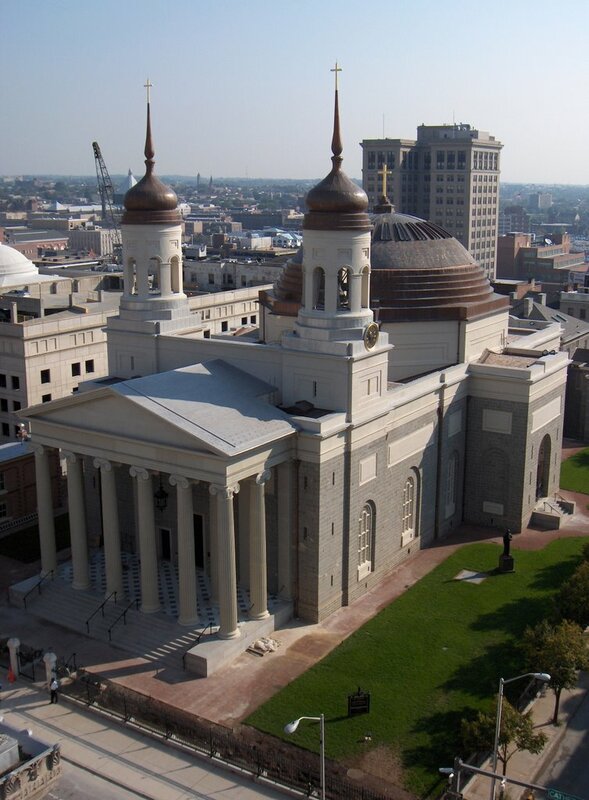 $34 million might sound like a lot, but the experts who've seen the restored Basilica of the Assumption in Baltimore are saying that Keeler & Co. got themselves a bargain deal given the quality of the work. A dream is coming true in Baltimore, one that is expected to stir Catholic sensibilities around the nation and impress every American who cares about religious liberty. It will happen on Nov. 4 when the historic basilica will reopen. It has been restored over the past two and a half years to the original purity, grace and elegance envisioned by its architect, Benjamin Henry Latrobe (who also designed the U.S. Capitol), and by Bishop John Carroll (who led the infant Roman Catholic Church in the United States from Baltimore). When it was dedicated May 31, 1821, about 15 years after the cornerstone was laid by Bishop Carroll on the high hill near what is now the corner of Mulberry and Cathedral streets, the first cathedral built in the United States represented not only one of the finest examples of neoclassical architecture in the world but, as Cardinal Keeler often emphasizes, a distinctive symbol of the nation’s newly won freedom of religion. But if Bishop Carroll and his architect Latrobe were to have visited their Baltimore cathedral just three years ago, they would most likely have been very disappointed, if not downright shocked. The years since the basilica’s completion, which neither man lived to see, brought many changes. The most dramatic of these was the removal in the early 1940s of the skylights that had lent charm and mystique to the building. That same period also saw the plain, translucent glass windows, set in the Colonial manner, replaced by stained glass, reducing even further light to the north and south sides of the basilica. Once bright and welcoming, the old cathedral had turned dark and inward. ...and now, everything old is new again. Case in point: I still have to apply for my credentials.